From the children’s point of view, earning a Doctor of Medicine degree seems like an answer to humanity’s suffering. But as fate would have it, most of these children choose different paths as adults. For the select few, however, the desire to become a doctor never fades even as they grow up. I assume you’re either curious about this career path or already know from the get-go that you’re meant to become a physician. Whatever the case, this guide will show you the ropes (and realities) of becoming a doctor in the Philippines. Job Outlook for Doctors in the Philippines. 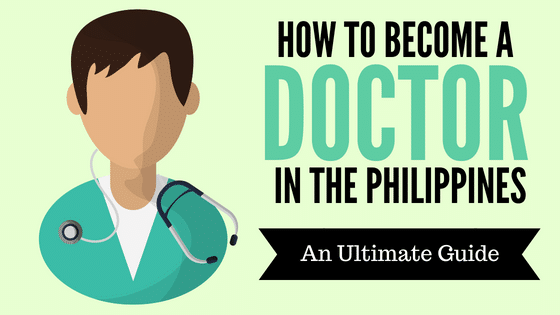 How to Become a Doctor in the Philippines: 11 Steps. 1. Prepare as early as high school. 3. Take a gap year (optional). 4. Choose your target medical school/s. 5. 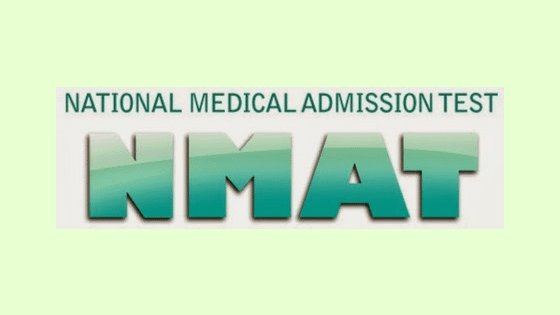 Ace the National Medical Admission Test (NMAT). 6. Apply to your chosen medical school. 8. Pass the Physician Licensure Examination. 10. Undergo medical residency training. 11. Get into fellowship training. 1. How many years does it take to become a doctor in the Philippines? 2. Can I work while in med school? 3. How much do doctors earn in the Philippines? 4. Can I study Medicine in the Philippines if I’m a foreigner? The high cost of medical education. Unlike in other countries where the government shoulders the tuition fees, the best that public universities in the Philippines can offer are scholarships for a limited number of students. A lot of aspiring doctors are intimidated not just by the cost of medical education but also by the amount of time it takes to build a career in this profession. As a result, the dwindling supply of doctors can’t keep up with the country’s continuous demand for competent physicians. We’ve already heard of doctors turning into nurses to find greener pastures abroad. Lack of well-paying opportunities also force a lot of medical graduates to get their residency training abroad, eventually settling down there and leaving only a few of their colleagues behind in the Philippines. 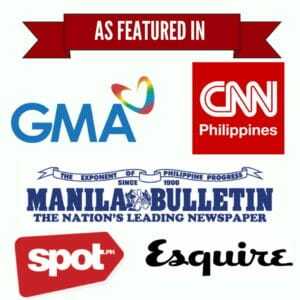 According to the Philippine Medical Association, there are 130,000 licensed doctors in the Philippines, but only 70,000 are active in the profession. Unfortunately, most of these active doctors either left the country to work as doctors/nurses overseas or are concentrated in the National Capital Region. Most physicians forego working in poor, far-flung provinces because the job doesn’t pay well, isolates them from their medical colleagues, and gives them less control over their work hours. As a result, the current doctor-to-patient ratio is dismal: only one physician for every 10,000 to 26,000 Filipinos. Putting the above factors into consideration, Filipinos are encouraged to become doctors not just for the money but also for the sheer desire to serve the community. Because if you work in the Philippines motivated by money alone, you’ll be sorely disappointed. In case you’re wondering, I was once an aspiring doctor who took the NMAT (more on this later) but eventually realized life has something different in store for me. To write this article, I have drawn from my own knowledge and the experiences of friends who are now full-fledged doctors. May this guide help you decide whether this career path is for you. For the lucky few whose hearts are already in the medical profession as early as high school, good for you. It will give you a head start since you’ll be more selective in terms of the subjects to focus on and opportunities to take. Since the Philippines has already implemented the Kinder to 12 (K-12) program, students can now choose the academic track to take in their two-year Senior High. If you want to be a doctor or any medical professional in the future, the Science, Technology, Engineering, and Mathematics (STEM) Strand is your best option. With its curriculum focusing on advanced science subjects like Chemistry and Biology, the STEM track will build the academic foundation you need to get accepted into one of the few prestigious medical schools in the Philippines. Another way to gauge whether the medical field is a perfect fit for you is to join volunteer programs. Volunteering not only looks good on your future resume, but it will also give you an idea of what it’s like to work in hospitals. If local hospitals or clinics don’t offer volunteering jobs, shadow a family doctor or a relative who is a doctor. You may not be allowed to handle delicate tasks but the experience will open your eyes to the realities of becoming a doctor. After graduating from high school, you can either take the “fast track” or “slow track” to get that dream Doctor of Medicine (MD) degree. The “fast track” allows you to get the degree in a relatively shorter time. Instead of spending 4 years to earn a baccalaureate degree and another 4 years in the medical school, you’ll be entering a condensed program that can make you a doctor for as short as 6 to 7 years. University of the Philippines’ Intarmed which picks aspiring doctors from the top 10% of UPCAT passers to complete a 7-year medical program straight from high school. De La Salle University’s Bachelor of Science in Human Biology which allows qualified students to earn the Doctor of Medicine degree in just 6 years. The first two years are spent studying at the DLSU-Taft while the third year onwards is the “medicine proper” to be taken at DLSU-Med. De La Salle University in Dasmariñas has similar programs that shorten the time frame of completing medical education. One is the B.S. Biochemistry where students enter medicine proper during the third year and the B.S. Medical Biology program which is similar to the B.S. Human Biology offered by DLSU-Taft. The University of Santo Tomas is now offering a 6-year medicine program beginning school year 2019 to 2020. Currently in its trial stage, the “Innovative Doctor of Medicine” program will pick its first 90 students through a stringent selection process. The lucky few who will make it to the program’s initial implementation can take the medicine proper after only two years of general courses–and without completing a bachelor’s degree. For the majority of students, however, the “slow track” of taking a bachelor’s degree before entering a medical school seems to be the more logical choice. For one, it gives them plenty of time to think about their future. A lot of things may change during those four years. You can wake up one day and realize you’re not actually in love with becoming a doctor but only with the glamour and prestige that come with it. To make this realization, you must take up a course that will prepare you well for medical school or will expose you to hospital work. Pre-medicine courses, or simply “pre-med” courses,” are college courses that are structured to prepare you for the challenges of medical school and internship. Each of these pre-med courses has pros and cons so it doesn’t matter which one you choose as long as you’re genuinely interested in the program. Remember, you will be spending four years of your life studying the course so might as well choose something that you can see yourself enjoying. Nursing teaches you how to build rapport with patients and collaborate with other medical professionals. It also builds your clinical skills and trains you how to translate “book knowledge” into practical application. Physical Therapy is a great choice if you’re eyeing a career in geriatrics in the future. Psychology is ideal for future doctors in the fields of Neurology or Psychiatry. Both Biology and Medical Technology are heavy on science subjects so it will help you ace the first few years of medical school. Public Health, meanwhile, is best for those who want to immerse in government work in the future. While it’s ideal to take one of these pre-med courses, you can still pursue Medicine with a totally unrelated, non-science college course. In fact, there are engineers, entrepreneurs, IT professionals, flight attendants, and teachers who only realized their desire to become a physician after graduating from college. However, in top schools like UST or PLM, applicants who didn’t take pre-med courses in college will be required by the admissions office to take extra units in subjects where they’re lacking like Biological Sciences, Chemistry, Physics, Mathematics, Social Sciences, Humanities, or Language and Communication. Let’s say you’ve just graduated from college. At this point, you should have a clear idea whether taking Medicine is the right career path from you. If you’re still unsure, it’s a clear indication that you’re not ready for medical school yet. Someone who has the passion to become a physician running through his veins will go ahead and enroll in a medical school–no questions asked. 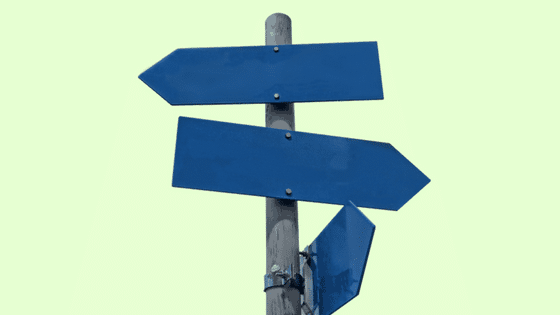 Take the uncertainty as a sign to do some soul-searching. Know yourself more. Take a gap year. Get a master’s degree. Work for a while to save up more money. Whatever you choose to do, remember that you can only get into medical school once you’re 100% committed to it. The life of medical students and doctors are no joke. It’s nothing like Grey’s Anatomy. Assuming you enroll in a medical school straight from college, you’ll be spending the rest of your 20’s studying and won’t be financially independent until you’re in your mid-30s. It takes a lot of sacrifices. You’ll have endless sleepless nights away from your friends and family. Sleep and social life will become a luxury. Hospital politics, demanding patients, almost inhumane work schedules, and a corrupt healthcare system will drain you of all the positivity and make you question your life choices. Ask as many doctors as you can about the realities of becoming a doctor. If you still think the rewards far outweigh the sacrifices, then you’re already in good standing. You’ll fare better than those who quit after three years of medical school when the reality of what clinical work involves sinks in. If you’ve already weighed the pros and cons of taking up Medicine and there’s nothing stopping you from doing so, it’s time to look for a medical school. 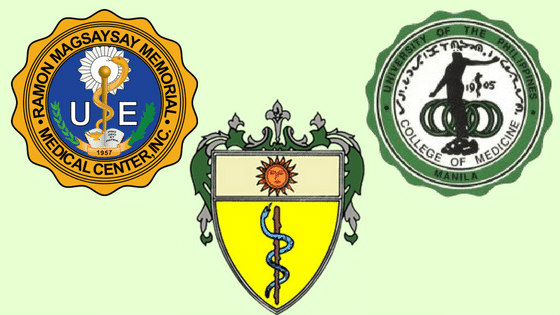 Here’s an updated list of all medical schools in the Philippines. a. NMAT percentile cut-off: While some schools are more lenient when it comes to NMAT scores, well-known institutions reject applicants whose NMAT grades are below their cut-off scores. UP College of Medicine, for example, only accept those with 90+ percentile rank/score in NMAT. UST and UERM, on the other hand, have cut-off scores of 85 and 75, respectively. b. The minimum number of units for specific college subjects: Especially if you didn’t take a pre-med course, you will most likely take extra credits in specific subjects as required by the medical school you’ll be applying for. For instance, the Pamantasan ng Lungsod ng Maynila (PLM), one of the best and cheapest medical schools in the country, require all their applicants to have the minimum number of units in Mathematics, Social Sciences, Language and Communication, Humanities, and Sciences. c. Tuition fee: The bad news is the medical education in the Philippines is not free for all. Expect to shell out tens of thousands in tuition fee alone every semester. If you didn’t come from a wealthy family, you will face stiff competition to get accepted into one of the few highly competitive public medical schools. Knowing that the cost of medical education hinders many from pursuing their dreams of becoming a doctor, the Commission on Higher Education (CHED) now offers Cash Grants to Medical Students Enrolled in State Universities and Colleges (CGMS-SUCs). Aside from maintaining a general weighted average every semester, students who will benefit from the free education are required to render one year of service in the country for every year that they receive a cash grant. After all, the subsidy is intended to alleviate the shortage of doctors in the Philippines. A medical school’s passing rate in the past board examinations reflects the quality of education and training it provides to its students. While location matters when choosing a medical school, it’s doubly important to entrust your future to an institution with a good track record. To help you decide, we’ve analyzed the performances of the most reputable medical schools in the country in the previous board examinations. Before you can enroll in any medical school in the Philippines, you need to take and pass the National Medical Admission Test (NMAT). It’s an aptitude exam that measures your readiness to handle the grueling academic demands of medical schools. Similar to IQ tests, the NMAT is administered twice a year by the Center for Educational Measurement, Inc. (CEM) as authorized by the Commission on Higher Education (CHED). While it’s true that NMAT is not a 100% reliable predictor of your success in medical school, you shouldn’t take it lightly either. If your dream school has high standards like UP Manila, for example, you should score at least 90+ in NMAT. That score isn’t even considered above-average given that most of the applicants who get in have 99+ percentile scores. To qualify for NMAT, you should be a graduate or a graduating student of any college degree course in the Philippines. Foreign students and graduates are also welcome to apply. There are testing centers both here and abroad, the specific locations of which are determined by CEM. Medical schools admit students based on two things: college grades and NMAT score. Those with Latin honors and high NMAT scores easily secure slots in top medical schools. If you didn’t perform well in college, however, that’s all the more reason to study harder and score well in NMAT. If your aim is to be qualified in one of the top 10 medical schools listed in the previous section, then acing the NMAT is only the beginning. a. NMAT – Again, different schools have different cut-off scores. In case your score fails to meet the mark, you can either retake the NMAT or enroll in another medical school with a good track record but with no specific NMAT score requirement. b. Entrance examination – Some universities require all incoming medical students to go through yet another screening process in the form of an entrance exam. If you just took NMAT recently or you’re fresh out of college, this shouldn’t be a problem. Otherwise, know beforehand the coverage of the exam and aim to get the passing or above average score set by the school. d. Certificate of Eligibility for Admission to a Medical Course (CEMed) – This document is usually requested by the medical school once the student passed all the screening procedures like entrance exam, interview, etc. It can be obtained from the regional offices of the Commission on Higher Education (CHED). If you’re a foreigner, you may apply at the CHED Office of Student Services (OSS) inside the National Engineering Center Building in U.P. Diliman. Original or duplicate copy of the Examination Report Form showing your NMAT score. 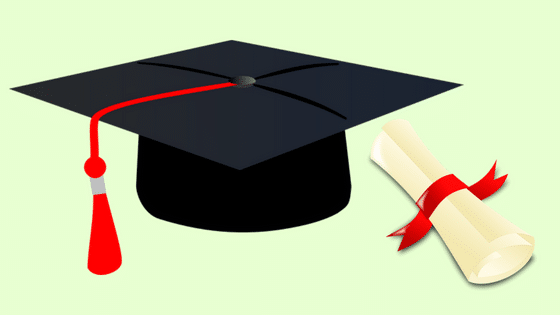 For graduates of government schools, a copy of the Diploma or Certificate of Graduation authenticated by the school registrar. Duly accomplished CEMed application form. 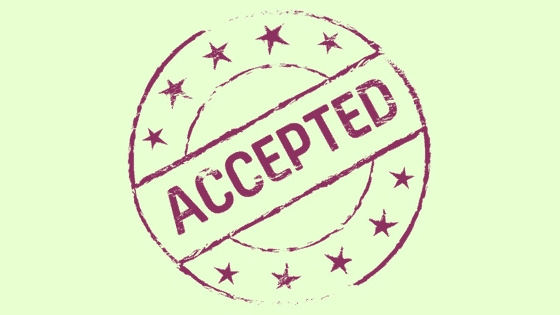 e. Recommendation letter – This signed document is submitted for formality and should come from a reputable source like a faculty member or college dean of the school where you came from. f. Interview – Whereas your NMAT and college grades may predict how well you can handle the academic demands of medical school, the panel interview will assess whether you’re truly cut out to be a doctor. It can either be a one-on-one interview or a panel interview like in UP College of Medicine. The interview is a chance for the admissions to dig deeper into your character, evaluate your intentions, and test whether you have the emotional and mental capacity to weather the storms of medical school (and beyond). What makes you a better choice in comparison to others? What will drive you to study and push through even if it is tough both physically and mentally? If you won’t be a doctor, what would be your career of choice? 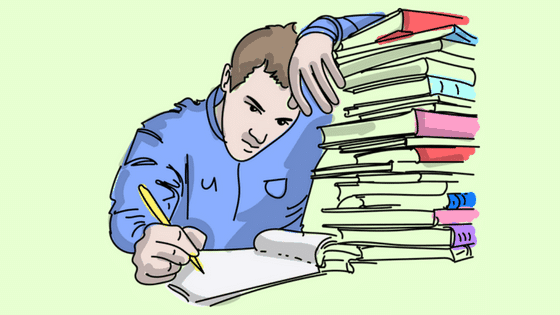 Do you have a backup plan should you be unable to finish medicine? What was the most stressful situation that you had? Can you tell me how you handled this situation? Why should we choose you from other applicants? If you would be given the chance to solve a single national issue, what would be your choice and how would you deal with it? What do you think is the biggest issue in healthcare and how would you solve it? To ace the interview, all you have to do is be yourself. The interviewees probably have years of experience doing this so they can smell whether you’re being genuine or not right off the bat. The moment you enroll in a medical school, everything becomes a level playing field. It doesn’t matter if you took Engineering or Biology in college; everyone is starting from zero. In the Philippines, the Doctor of Medicine degree is a five-year graduate program that will build your foundation as a future doctor. The first three years are filled with academic instructions delivered through a combination of laboratory work and lectures. Freshmen should expect to study basic sciences like Biochemistry, Preventive Medicine, Community Health, Human Anatomy and Physiology, Psychiatry, and Medical Practice I.
Second-year students will spend a year studying basic concepts of Pharmacology, Microbiology & Parasitology, Pathology, Medicine and Surgery, Medical Economics, and Psychiatry II. On the third year, medical students will immerse in disease management, learning more about the pathophysiology, diagnosis, and clinical management of common as well as rare medical conditions. At this point, you will start interacting with the patients in the actual hospital setting. The fourth year is your year as a junior intern. This phase is also known as clinical clerkship during which you will be rotated in different hospital departments. Expect to spend anywhere between several weeks to two months in various fields like Surgery, Obstetrics, Gynecology, Pediatrics, Internal Medicine, and various subspecialties. You will be under the supervision of a faculty who will then evaluate your performance after each hospital duty. After 4 years in medical school, you will finally graduate and earn the “Doctor of Medicine” diploma provided that you overcome one final hurdle: a final graduation requirement in the form of a thesis, practical exam, or an independent research project. The post-graduate internship allows you train more intensively in the different subspecialties like Dermatology, Urology, Gynecology, Pediatrics, Obstetrics, etc. It’s a critical period in your medical education since you won’t be allowed to take the licensure examination and practice your profession if you fail to complete the required hours of internship. Studying to become a doctor comes with a price. And no, I’m not just talking about the expensive tuition fees and other expenses which should be clear to you by now. Med school will take a toll not just on your finances but also on your social life. While the first three years are relatively easy, your clerkship (4th year) will require you to spend countless hours on hospital duty which means not seeing your friends and joining your family in special occasions and holidays. It’s not just what you know but who you know. Even the brightest medical students won’t survive medical school as loners. Make friends with students in higher years; they can give you study materials and insider tips you would otherwise have no access to. Build meaningful connections with professors and other doctors; they will serve as your mentors and possibly refer you to wonderful opportunities in the future. Learn to ride with work politics; getting along with all types of people will help you advance your career just as much as your smarts and skills. Never cram your way out of med school. If you’re only there because your parents want you to, you’re not fooling anyone except yourself. Remember, a half-hearted medical student is a future liability. One day, you and your stocked knowledge will be the only ones standing between a patient’s life and death. Study every day not because your grades depend on it but for all the lives you’ll be able to save once you become a full-fledged doctor. De-stress. Unless you want to burn out, you have to find a way to relax at every chance you get. If your school have sports or dance organizations, don’t waste the opportunity to join. Do things that will keep your body moving and your mind away from the stresses of med school. A busy student life should never be an excuse to take care of yourself. A graduate of a “Doctor of Medicine” program can’t work without a license to practice. And to get this license, he/she must pass the physician licensure exam given twice a year (March and September). 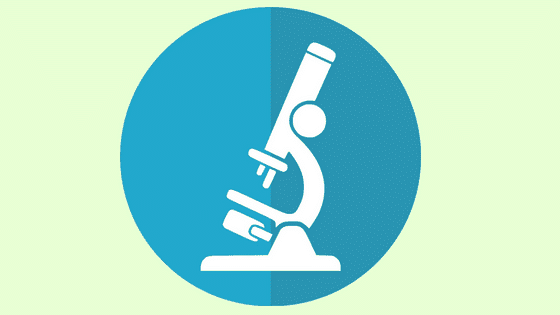 Basic sciences (Anatomy, Physiology, Biochemistry, Microbiology, Pathology, and Pharmacology). Clinical sciences (Internal Medicine, Obstetrics & Gynecology, Pediatrics, Surgery, Legal Medicine and Preventive Medicine). To pass the exam, you must have a board exam average rating of at least 75% with no grade lower than 50% in any subject. Medical students usually have 2 to 6 months after a post-graduate internship allotted for the review. If you paid your dues in med school and didn’t take any shortcut, all you need is to refresh your memory on all the fundamental concepts you’ve learned over the years. Once you overcome all the hurdles, your “MD” license will finally allow you to work as a general practitioner, or earn from “moonlight” jobs. Alternatively, you can take another gap year before going to residency training. After getting their licenses, most new doctors in the Philippines opt to go through a residency training program to further their careers. If you don’t like to take this path, you can establish private practice right away to work as a general practitioner. Companies also hire general practitioners and pay them fixed monthly salaries to work in various settings like hotels, schools, clinics, etc. The main disadvantage is that GPs have less income and career growth opportunities than specialists. If you want to be the latter, then your best option is to go straight to residency. Getting a slot for your medical residency training is like applying for a job. 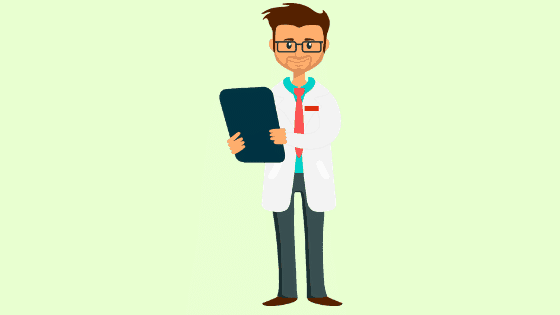 You’ll be competing with other new doctors aiming for the same specialization, with some of them closely connected to the higher-ups or are board exam top notchers so their applications are prioritized over others. While waiting for a hospital willing to accept you as a resident, you can get moonlight jobs to earn income. “Moonlighting” refers to the practice of working a secondary job outside your primary job. As a moonlighter, your limited experience may backfire when you encounter cases you know little about so think twice before accepting new opportunities. Once accepted, medical residents may spend 3 to 6 years working in the hospital depending on their chosen field of specialization. There’s even a joke that the reason why medical residents are called as such is they literally “reside” in the hospital for the entire duration of their training. Medical residents are paid a pittance throughout their training, the reason why some take moonlighting gigs in the first place. Private hospitals offer Php 12,000 to Php 20,000 (with or without benefits like SSS and Philhealth) while government hospitals offer a relatively higher take-home pay of anywhere between Php 30,000 to Php 50,000 (mostly with benefits). Take note that while residents in government hospitals have higher salaries, they have three times more workload which could mean little to no sleep every single day. The competition is also more intense in public hospitals so some are willing to share the slot with another doctor just to get accepted, hence driving the salary even lower. If you want less competition, take the road less traveled: military residency training. The drawback is you’ll undergo the same military training as everybody else which can be physically taxing not to mention “dirty” unless you’re signed up to the Air Force where military training is limited to airports. For those interested to become a military doctor, try to secure your internship at the AFP Hospital in V. Luna so you’ll have an idea what’s waiting for you in residency. You will be trained to be an elite soldier. Medics, not doctors, are the ones deployed in the battlefields. You will be assigned to different regions in the country. You’ll start as P2LT and slowly climb the rank of Captain during the training. You will be on the front lines during emergency cases. You will be issued a gun with a permit to carry. You’ll be paid Php 50,000 to Php 60,000 during your residency training. It will be difficult to establish private practice after your training. 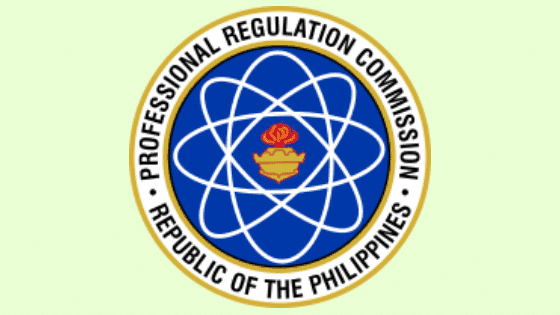 All residency training programs in the Philippines are regulated by their respective societies. For example, residents who are specializing in psychiatry are regulated by the Philippine Board of Psychiatry, future pediatricians by the Philippine Board of Pediatrics, and so on. These societies are also tasked to administer diplomate board examinations at the end of the training programs to ensure the competency of the doctors joining them. Once you pass the exam, you can work with a guaranteed higher salary or proceed to fellowship for your subspecialization. 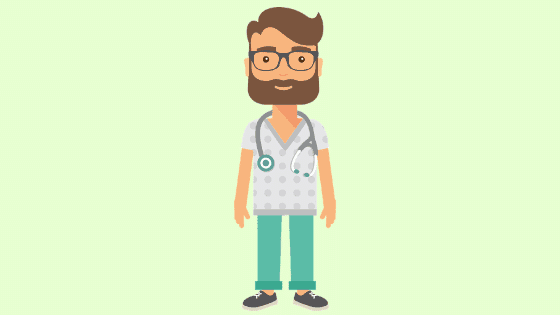 When you’re done with your residency training, you have two choices: either work and start earning money or spend a few more years to pursue a subspecialty (also known as fellowship). At this point, years of training and working in the hospital should give you an idea what field to subspecialize in. Just like in residency training, you also have to go through a process in order to get accepted into a hospital that offers fellowship training program. For your chosen subspecialty, you’ll spend another 2 to 4 years training and working in the hospital. Oncology, for example, requires 3 years of residency in Internal Medicine and another 3 years of fellowship training before you can become an oncologist. After completing your fellowship, you will take another exam. Passing it gives you a certification so you can work as a specialist. Your success as a specialist largely depends on the quality of the training you received during residency as well as your choice of training institution (hospital) for your fellowship. Specialists who have completed their residency training and have been qualified in their chosen field of specialization can now fill one of the various lucrative positions offered by both private and public institutions. A specialist surgeon, for example, can earn over Php 100,000 from one operation alone in his private practice and earn additional income as a consultant in a training hospital. Specialists can work in a specialized private clinic, private hospital, or a government hospital. They may also land an administrative position in the Department of Health (DOH) and other similar government agencies. ← Bugtong, Bugtong: Can You Answer These Tricky Pinoy Riddles? What do you think is the best school here in the Philippines is for surgeons? How to aim on becoming Cardiothoracic Surgeon here in the Philippines? We know that there’s no such thing as best pre-med course for future surgeons. I want to be a Cardiothoracic Surgeon someday. I just want to know if BS MedTech could help me ace in medical school. Can you give me some advices? You’re right that there’s no such thing as the best pre-med course. It all boils down to your dedication and performance in med school. Having said that, Med Tech is a good choice as it will give you a solid foundation in critical subjects like Microbiology, Parasitology, etc. which most students find the most challenging come their second year in med school. Would you give me an update in your comment? I also want to become a Cardiothoracic surgeon someday, hehe. Do BS MedTech is the best to ace in med school? I’m sorry I don’t know that thing yet, I am an incoming Grade 10 Student. By the way, what school (In Senior High School or to be called as Grade 11 and 12 and also in College) would be the best to become Cardiothoracic Surgeon? Hello. I’m still on SHS, Grade 11 to be exact and I am planning to take Obstetrics Gynecology. How many years would it take me to become a fully pledged Obstetrician Gynecologist? I know some folks in their 40s, 50s, and even 60s who took Med and eventually fulfilled their childhood dreams. Cliche as it may sound, it’s never too late to follow your dreams. Good luck! May I asked why would it be difficult? This is very useful. You have given a very detailed explanation about the process. This would definitely help many. can i study of becoming a doctor even if i only finish 2 years course of nursing? Good day! As part of research, I would like to cite you as one my resources. May I ask where your sources are with regards for the salary of both public and private residents? I checked the links above and it was for general practitioners and government physicians, which I assume the latter have already underwent residency. Also, when was the article written? Thank you! The salary information came from online forums and doctors I know personally. The article was first published on August 21, 2018 but like other articles in our how-to section, this one’s constantly updated, hence the absence of a date. What’s the best option during pre-med if you want to be a surgeon? There’s no such thing as best pre-med course for future surgeons. But based on my experience and the doctors I know, Nursing and Biology seem to have the right programs to prepare you for Surgery. WHAT DO YOU MEAN BY THAT? IF YOU FAIL CAN YOU REPEAT? AND HOW MANY YEARS IF I WILL DO ALL THOSE YOU HAVE SAID ABOVE TO BECOME A DOCTOR?